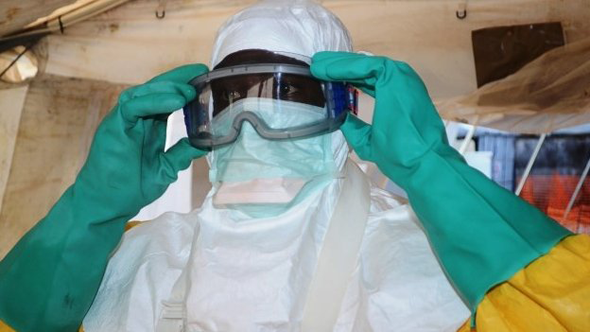 The first human trial of an experimental vaccine against Ebola suggests that it is safe and may help the immune system to combat the virus. Twenty volunteers were immunised in the United States. Scientists at the US National Institutes of Health (NIH) described the results as "promising". The research is published in the New England Journal of Medicine(NEJM). None of those immunised suffered major side-effects and all produced antibodies. Dr Anthony Fauci of the NIH told the BBC: "On safety and on the ability to produce an appropriate immune response we can call this trial an unqualified success, even though it was an early Phase One trial." The volunteers were divided into two groups, receiving either a low or high dose. The antibody response was stronger among those receiving the higher dose. 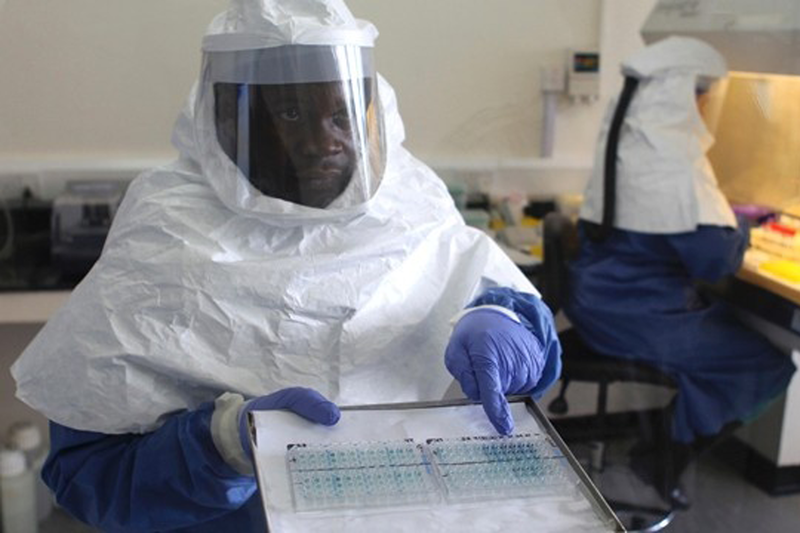 The investigators found that seven of the high dose and two of the lose dose volunteers produced T-cell immune responses, which may be important in protection against Ebola viruses. The vaccine uses a chimpanzee cold virus which has been genetically engineered to carry a non-infectious Ebola protein on its surface. There are four trials underway of this experimental vaccine. The US vaccine is bivalent - aimed at giving protection against the Sudan and Zaire strains of Ebola. It is the latter which is responsible for the current outbreak. Trials of a monovalent vaccine - against the Zaire strain - are also underway in Oxford, Mali and Switzerland. If these also yield positive results then the monovalent vaccine will be offered to thousands of health workers in west Africa. Dr Fauci said: "It will be this large Phase Two / Three trial in west Africa which will show whether the vaccine works and is really safe." He added: "If the outbreak is still is still going on six months from now and the vaccine at that point is shown to be effective, it could have a very positive impact on the current epidemic." But he said the long-term aim was to produce a vaccine which would protect against future outbreaks. If the vaccine does work, it is unclear how long the protection would last. These kinds of questions are usually settled during the early stages of human trials. But such is the pressing humanitarian need for something which protects against Ebola, the whole trial process is being accelerated at unprecedented speed. In an editorial in the NEJM Dr Daniel Bausch said that while the trial left many questions unanswered, an Ebola vaccine was "one step closer". The experimental vaccine is being manufactured by the British drugs giant GlaxoSmithKline (GSK). The company says it can produce one million doses a month by the end of 2015. This will require a significant financial outlay. It is asking for an indemnity agreement in case problems such as unforeseen side effects were to emerge in the future. GSK's chief executive Sir Andrew Witty told the BBC: "We are not waiting for that to be settled [but] it is obvious there are some risks that companies should not be expected to carry on their own."